Forum Romanum by Ville Miettinen is licensed under CC BY-NC 2.0. Sharing ideas and meeting others with similar experiences has been what the internet has enabled since its beginning. Twitter and Facebook and other social networking sites have taken this to a new level. However the humble internet forum still thrives to bring together communities online. There are forums for everything you can think of, from mental health and business women. Their aims are to be supportive and informative. However, posting to a forum will require the same level of responsibility and care as posting anywhere on the web. More practical tips about e-safety can be read on this website. On the Hillcroft VLE there are also opportunities to take part in discussion forums on different courses. Your views really are heard, so don’t be shy with voicing your opinion and reflecting on it. It is great practice for developing an argument for an essay or to be more assertive in everyday life. Today 25 February a new series starts on BBC2 called Suffragettes, For Ever! The Story of Women and Power. It’s a 3-part series looking at the beginnings of the suffragette movement fighting for women’s rights to vote going right up to the battles of the twentieth century for equality. To chart the history Amanda Vickery looks at women’s legal rights from the eighteenth century before the suffragettes began. You can catch clips of episode 1 on the BBC Two Suffragettes For Ever! The Story of Women and Power Episode 1 page. Our Access to Humanities and Social Science students have just finished studying the suffragette movement. 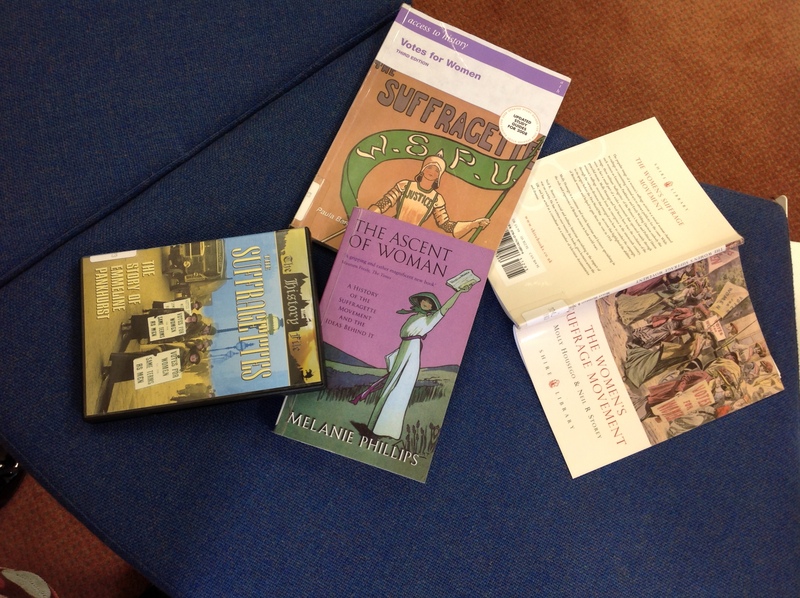 Here’s an embedded search to our library catalogue to find out what we have on the suffragettes. 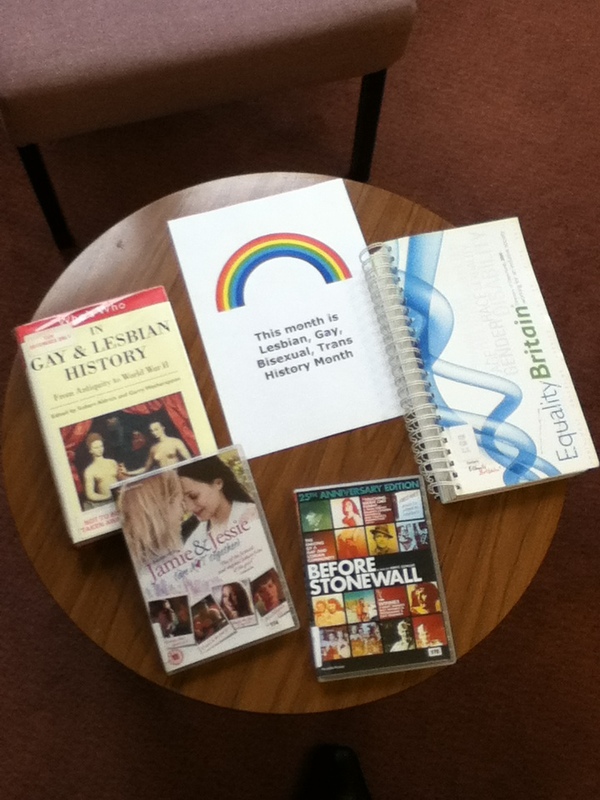 It includes ebooks, TV recordings, DVDs and websites Or you can take a look at what we hold on women and equality. 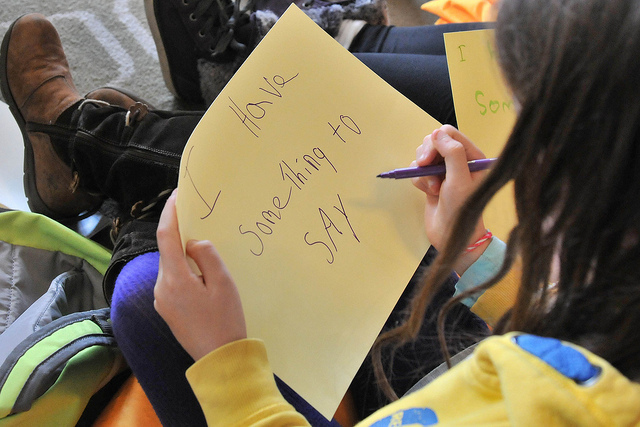 “Under 10s Feminist Corner” by Southbank Centre is licensed under CC BY 2.0. We have been updating the VLE calendar and the YELLOW FOLDER with events going on next month. It is fun to find out all the exciting things you can do – often for only a tenner or for free! It’s International Women’s Day on the 8th March so there are lots of cultural events going on to celebrate and support women. The Southbank Centre has a whole host of great speakers and guests, performances and comedy shows as part of the WoW Festival. It stands for Women of the World – and the whole world wants to be there! I am particularly interested in the debate on What will the next government do for women? It’s on at 7.45 on Monday 2nd March. I now need to book a couple of tickets before you all jump on it! You can follow all the action on Twitter or Facebook searching the hashtag #WOWLDN. The Museum of London Docklands is also putting on a family weekend event on the Saturday 7th March. Rich Mix in the East End has a poetry reading on 6th March – but don’t yawn – it sounds like it will be a really exciting and unusual take on poetry. It is run by Scottee who, according to the website plumpf, “a dyslexic who thinks poems should rhyme.” Intriguing! If there are any events going on in the nearby area to Surbiton I will be on the lookout, but please let us know of anything that might appeal to the wonderful women of Hillcroft. 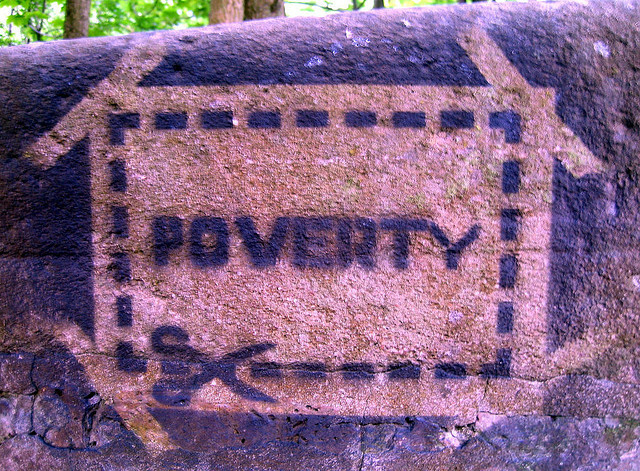 ‘Poverty‘ by Paul Downey is licensed under CC BY 2.0. The pre-access students are doing an essay on whether rich countries should financially help less wealthy nations. “One line of inequality has been narrowing and there is every reason to expect it to continue to do so: the old idea of a sharp division in the world between rich countries and poor countries no longer holds in the same form. The contrasts are now more subtle, as other lines of inequality are getting broader.” (Smith 2013 p. 36) from Dawsonera ebook State of the World Atlas. “Since the late 1980s with the collapse of communism the term ‘Third World’ is still used but it remains to be seen for how long. These societies can be regarded as ‘super-poor’. As a concept ‘super-poor’ can be said to unite not just countries sharing common conditions, but disparate groups in several societies. Thus many women in Third World societies can be said to be ‘super-poor’.” (Marsh 2006 p. 434) from Dawsonera ebook Sociology: making sense of society. The world stats mean that “the richest 85 people have as much as the poorest 3.5 billion.” (BBC News 2015) from article A richer world…but for whom? You may also want to watch this video on Ending Poverty on Bibblio.org. Search Bibblio for more short and informative pieces to help you become more familiar with the topic and create an essay focus. Libraries A-Z Letter N by Josh Filhol licensed under CC BY-SA 2.0. 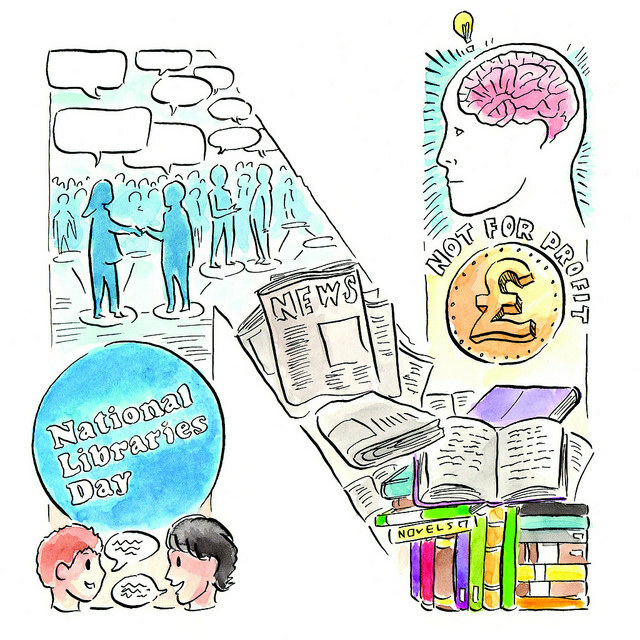 It was National Libraries Day last Saturday with lots of events going on all over the country to celebrate libraries. Libraries are often unappreciated because people don’t know much about them. What actually goes on behind the scenes in virtual, academic, public law, company, art and museum libraries to make them so important? Are libraries in different countries different from those in the UK? You can browse the international library collections online though the World Digital Library. So for our part, we have been thinking of fun ways to promote our resources and services to our staff and students. We want to make sure what we do day-to-day and overall is not a mystery. Plus it is fun to share the library love and talk to students and staff. We are having a book vote for new books on the VLE. The 11 titles we selected came from awards lists and feature some challenging themes and most are written by women. We are also displaying what staff and students are currently reading in the LRC which we hope will inspire everyone to borrow not just from us but from your friends and tutors too. At lunchtime on Wednesday (11th Feb) we are holding a live Padlet session where everyone can post to our virtual wall to share what makes libraries special. On the day we will email everyone the link so you can post from your smartphone or computer wherever you happen to be. Or come into the LRC and post on one of our iPads. We would love to know what you think here too. If you would like to leave a comment with a question about resources or libraries in general. For example, you can ask us about: ebooks, textbooks, reference books, DVDs, pdf versions of books, using the VLE, referencing, study skills. Hillcroft students have commented in their feedback surveys that they’d like to learn about other cultures. BBC Radio 4’s focus on European literature can help them and you learn more about European nations’ fiction through their Reading Europe set of programmes. On Sunday 8 February @ 1500 you can catch Radio 4 turning contemporary European literature into radio plays. 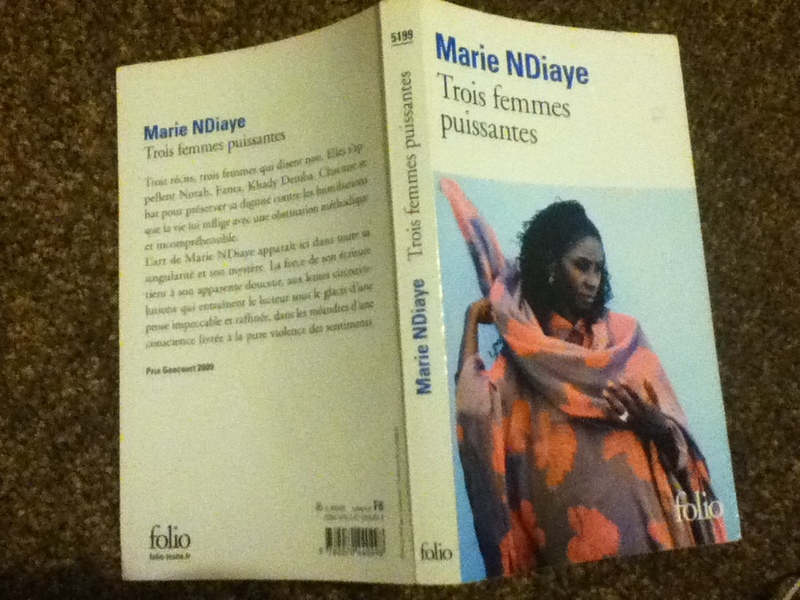 The first one is France: Three Powerful Women by Marie NDiaye who was the first Black woman to win the French literary prize the Prix Goncourt. This is an inspirational tale of 3 different women grappling with their lives. Nora who’s forced to go back to her father in Dakar to help him when he abandoned her as a child. Fanta who’s left her life behind in Senegal is abused by her husband Rudy. Khady leaves Africa to find Fanta having lost her husband who has died. Her husband’s family send her to on a journey to find Khady. If you are keen on world literature then you might to take a look at the BBC World Service’s World Book Club. There are highlights from programmes on current day authors and podcasts.